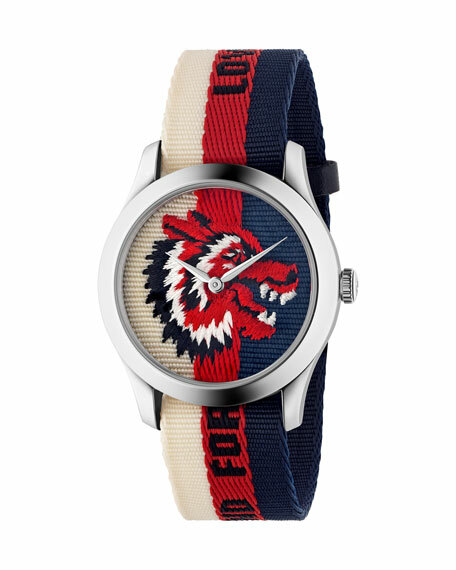 Gucci men's watch with wolf-head embroidered. 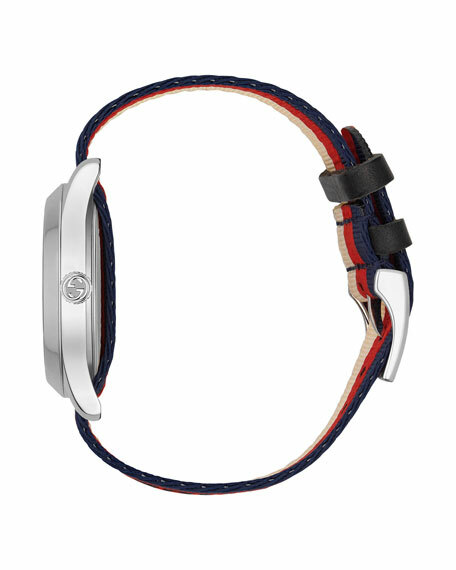 38mm stainless steel case and hardware. 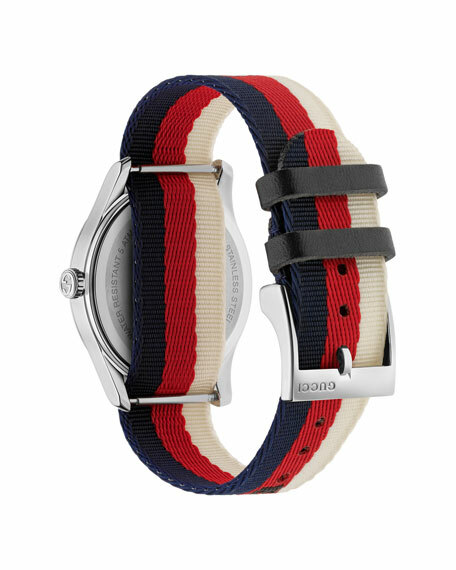 White/red/blue web nylon strap and dial. Two-hand Swiss-made ETA quartz movement. For in-store inquiries, use sku #2558507.